I’m having wifi problems. I wrote this post in Austria, sitting in the single room in Burg Bernstein that purportedly had internet connection. It was a bizarre place to write – the walls were covered in armoury and shields, the huge windows offered glimpses of the crumbling stone walls and the lowlands of Hungary. When the dodgy wifi connection wouldn’t let me upload, I tried when back in London, stroking my much-missed Monty with one hand, clicking away at the keyboard with the other. Unforutnately I was blighted by the same problem – supposedly I was connected, but I actually wasn’t. All this is a rather round the houses way of excusing my absence – as regulars in these quarters will know, I don’t generally disappear for three days on the trot. 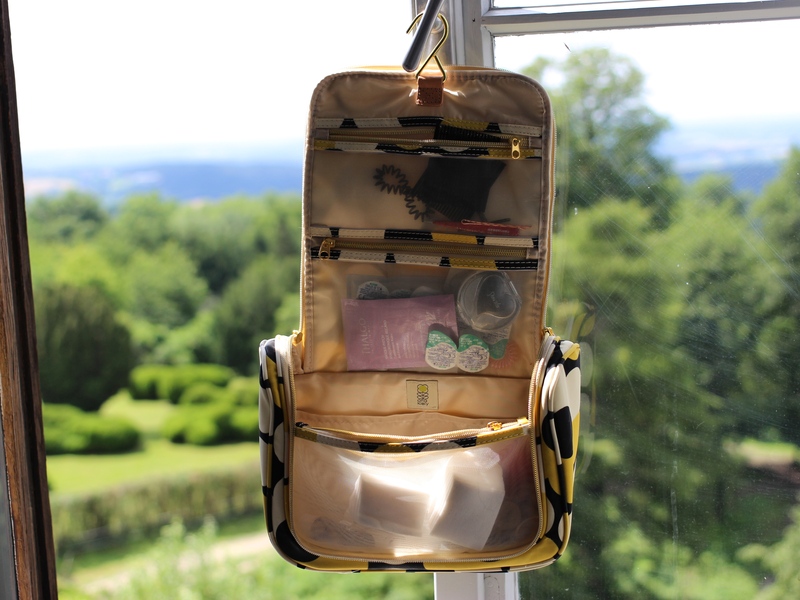 … And to packing beauty products with which to travel. This little missile isn’t about the usual things like deodorant and suncream – guides to them are in formation but I’ll assume in the interim that you wouldn’t be foolhardy enough to go anywhere without them. This is rather about the important extra bits that make me feel human after long journeys – the inessential essentials, if you will. I should clarify here that I am not of the school of sneaking a bag full of under 100ml bottles of this and that onto a plane in lieu of properly packing beauty products. I wrote a piece for Marie Claire once (click here to read) on plane beauty, but I couldn’t conceivably limit myself to such a measly stash when abroad – that’s when I have time to play with (and enjoy) cosmetics. Pack Minis & Decant / There are some things I simply couldn’t live without. An oil cleanse for one. Foreo for another. A good cleansing balm, too. As some of these as a shade on the bulky side, I buy Muji bottles and decant – a little oil here, a little balm there = happy days/lighter suitcase. 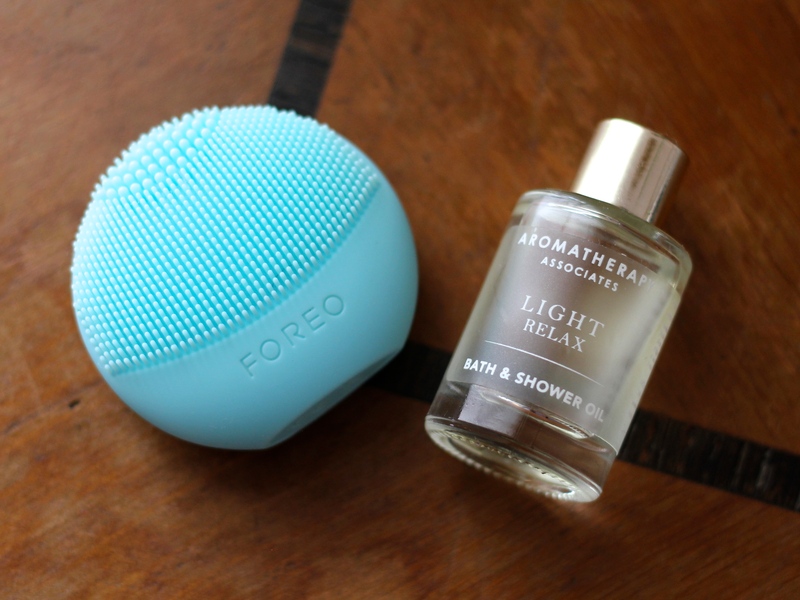 I’ve Packed / Muji wins here, though my baby Foreo has also been a good travel companion (a note on this: if faced with buying the big ‘un or the baby, opt for the bigger one, which can be recharged and will serve your face for years to come). I have also brought a mini Aromatherapy Associates Bath & Shower Oil for maximum ‘aahhhhh’ factor after driving between hotels. A Moisturiser For Hands & Body Is Worth Packing / I’ve done the whole ‘aftersun is the same as moisturiser’ thing and always found it wanting – yes, after a beach session, aftersun is delightful. Calming, quenching, cooling. But before bed or in the morning on tight skin, moisturiser is the only thing. 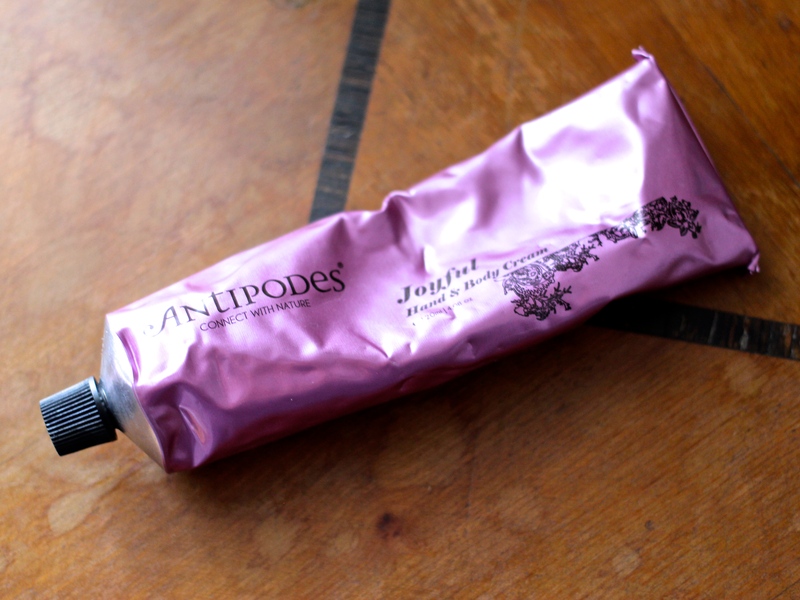 I’ve Packed / Rather than bring two separate tubes, I packed a two-in-one in the form of Antipodes Joyful Hand & Body Cream. Organic and (delicately) scented of flowers, this is the more ‘summery’ of their two Hand & Body offerings (the Divine version is more planty/herbal and I like it immensely during spring). Travel Without A Multi-Purpose Balm At Your Peril / I always, always pack one of these. They are so very useful when facing different climes – something is bound to chap/dry out/itch and – trust me – all those things are better when cosseted in a balm. 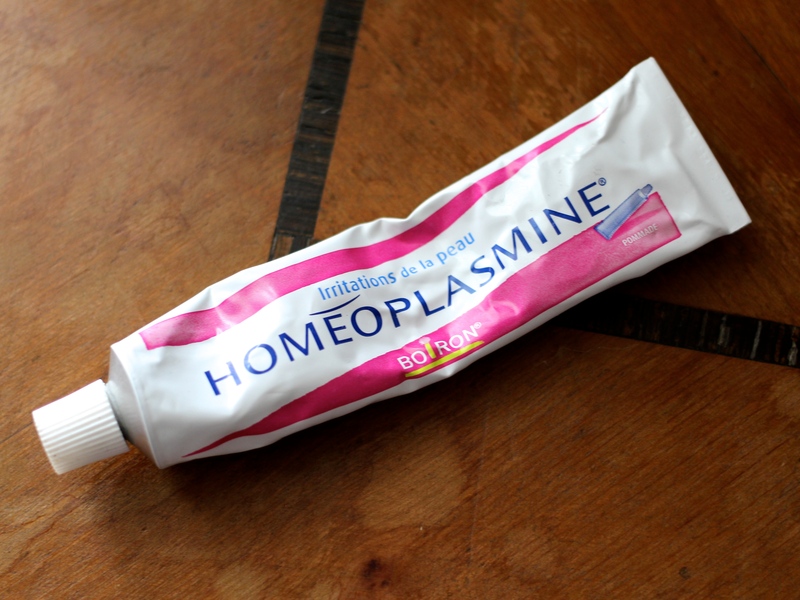 I’ve Packed / My current favourite (since researching a French pharmacy classics piece for Stylist and finding that this is in every mademoiselle’s arsenal) is Homeoplasmine. A balm with emollient and soothing abilities, it’s thus far soothed a spot of mine, relieved my mum of an itchy mosquito bite, and helped my dad sleep through a dry skin flare up. Don’t Go Anywhere Without An Uplifting Perfume / Oh I know, perfume on holiday is a bit… unnecessary. You sweat, you shower twice (sometimes thrice) daily, you usually smell of either suncream or aftersun. I could bang my usual drum of marrying scent with memory (and stand by the sentiment entirely – nothing will transport you back to that sunny vineyard quicker than a sniff of the perfume you wore when there), but I’ll take a different route – when you get out a stuffy car or the air is so thick you feel you could slice it in two, a citrus, tangy bottle of something will make you feel oodles better. 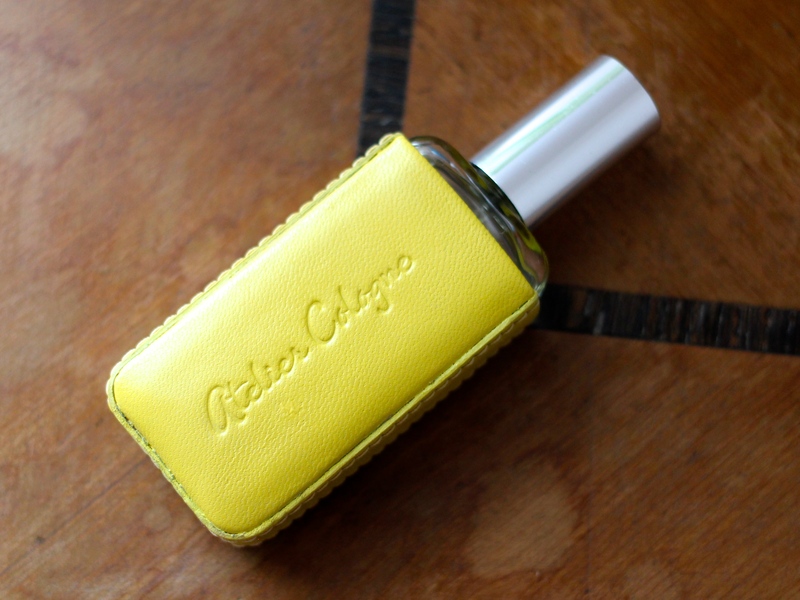 I’ve Packed / Atelier Cologne Bergamot Soleil not only smells delightfully fresh and just a touch aftershave-y, but also comes in a mini version encased in leather so it won’t break. Eyes Need The Most Help / When I travel, my eyes really look worn. More lined, darker rings, a lot redder around the rim area. I therefore prioritise this area, packing decent eye products to reinstate lost moisture and give the tender area a little extra love. 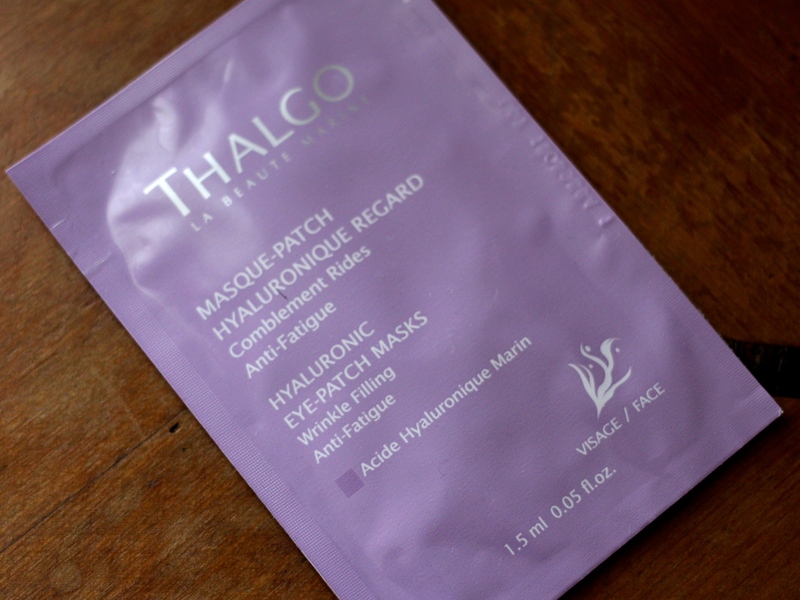 I’ve Packed / Sisley La Nuit Eye Serum (so expensive, but in its defence, it is also so buttery soft and soothing after a journey), and Thalgo Hyaluronic Eye Patch Masks, which infuse the area with plumping and rehydrating hyaluronic acid.